Quinnipiac headed back to one of the elite programs in the Midwest to pick up its most recent commit. 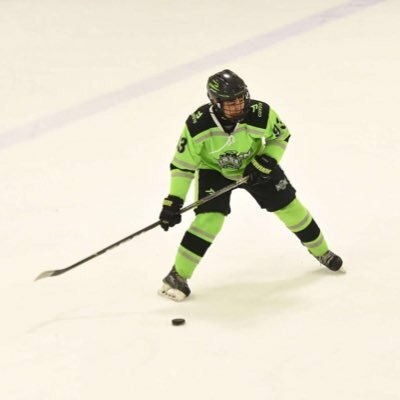 2003 born defensemen Jonah Copre of the Chicago Mission U-15 team verbally committed to the Bobcats on Monday. He is the second '03 born Mission player to commit to Quinnipiac following to prior commitment of Jack Silich back in December of 2017. Its another great indication that the Quinnipiac staff will go recruit prospects this young in the Midwest where teams such as Michigan, Minnesota and Wisconsin tend to dominate. Jonah Copre to Q. Prototypical, athletic puck mover. Undersized but unafraid. Swarms to defend. Can fly. First step to escape pressure, supports the puck. Great vision w/stick skills carry & to get passes through. Great on the PP. A-/B+ at U15 Nationals. Copre, native a of Elgin, IL is a 5'5, 143 pound right shot defensemen. In 20 High Performance Hockey League games he had 23 points on 4 goals and 19 assists. His full season statistics are not known at this time. This is his third season with the Mission program after having been with Team Illinois in the 2014-2015 season. His commitment is either for the 2021-2022 season or 2022-2023 depending on development.